Are you allergic to eggs? It seems to be a problem that is growing and growing. I’ve noticed many fans have started to ask for egg free recipes. I’m guilty of including a ton of eggs in my baked goods recipes, but attempting to make them egg free within Paleo guidelines is quite the challenge. For the person dealing with an egg allergy on a paleo/grain free diet trying to come up with breakfast ideas would be intimidating. My friend, Karen, found herself dealing with the same problem: what do you eat for breakfast if you can’t eat eggs? Karen made a delicious, mouth-watering egg free breakfast cookbook for you. Awaken, features 30+ egg free and grain free breakfast ideas. 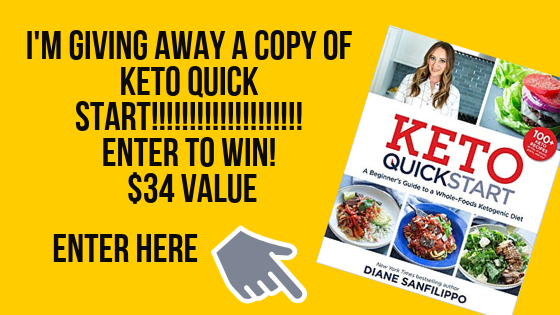 It was exciting to see Karen develop all of these recipes; I had a glimpse of the massive project before it was released to you. I also got to taste test a few of the recipes. I made sure I could share with you my favourite recipe that really surprised me. 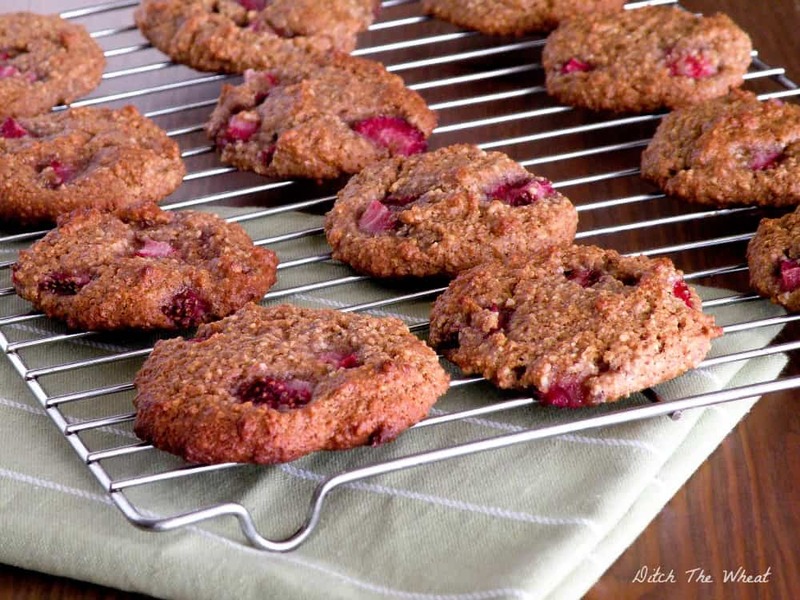 The recipe in the book is called Raspberry Breakfast cookies, with three flavour options: raspberry, blueberry or strawberry. The first time I made these I made the raspberry option. Amazing! This time around I only had fresh strawberries so I made the strawberry option, still amazing, but the raspberry is still my fav. When you are making something that would normally have eggs you need to replace the eggs with something to mimic the baking results. Karen gives you an egg substitution chart. After using the chia egg (her simple recipe for an egg replacer) in a few of her recipes, I love the results! The cookies puffed up and almost doubled in size when baked. 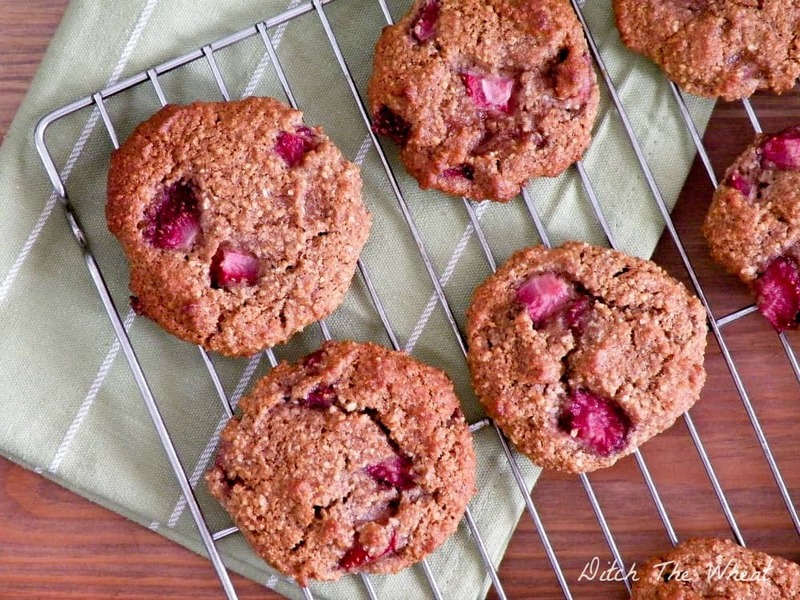 I really adored how the chia eggs gave the cookies an oatmeal taste. 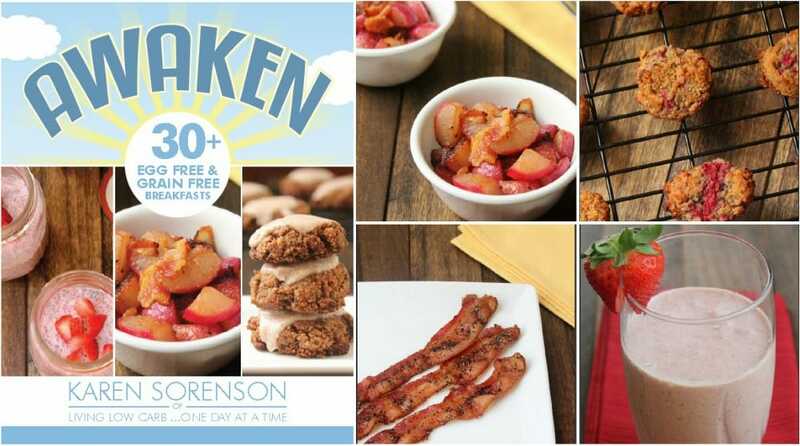 Karen’s book, Awaken, contains meat recipes, like homemade breakfast sausages, two, let me repeat, two cereal recipes, smoothies, grain free porridge, sweet recipes like the cookie recipe I am sharing and a glazed cinnamon cookies (I made that recipe too and it is fabulous) and savory recipes and so much more. The book is a steal at 40% for $5.99 until March 11th. Use coupon code AWAKEN40 when buying to receive 40% off. Click here to buy it now before the price increases. or maple syrup are used. Prepare two chia eggs and preheat oven to 375°F (190°C). In a bowl, combine the almond flour, sweetener (unless it is liquid), baking soda, salt, and cinnamon. Add the chia eggs, vanilla, nut butter, sweetener (if liquid), and dairy free milk. Add the raspberries, stir to combine, and let sit for 2-3 minutes. Scoop 1 Tbsp of dough onto a parchment paper lined baking sheet and flatten the top of the dough slightly. Bake for 13-15 minutes or until golden brown and cooked through. Substitute the raspberries with blueberries, strawberries, or blackberries. In a hurry? Freeze in individual servings and defrost overnight. Enjoy in the morning! Combine ingredients and let sit for 5 minutes to form a gel. 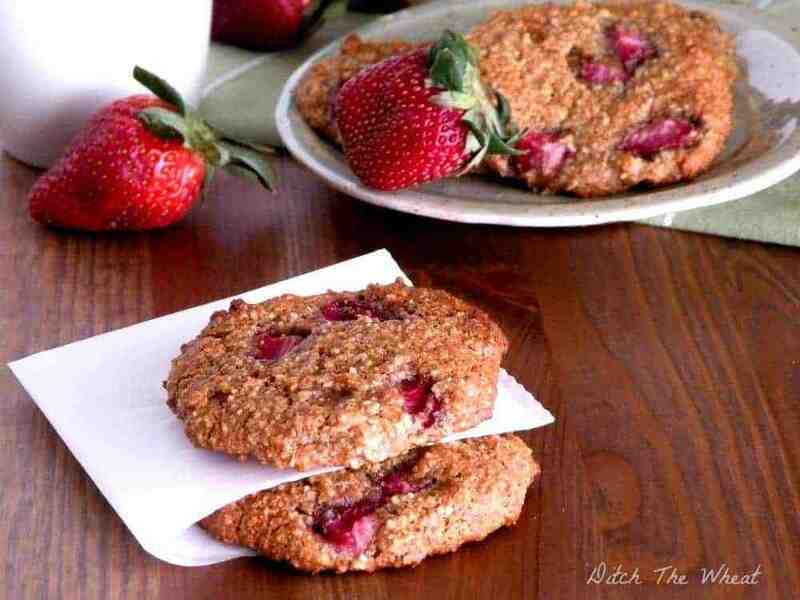 This recipe makes 2 chia eggs for the above cookie recipe. Hi, I am a low-carb/non-paleo eater and am wondering if I could make these using 2 real eggs instead of the chia eggs. What do you think–worth trying or a waste of time? Probably but if you did you would lose out on the “oatmeal” taste from the chia seeds. Made these last night and they are AWESOME!! My kids loved them! Will deinitely make them again. I can’t eat almond what can i use instwad of almond flour? Whatever you usually replace almond flour with. Cashew flour would work. Hi. I’m hoping you can clarify the recipe for me….it calls for 3/4 cup honey, then 1/4 cup non-dairy milk, but then it says “omit if using honey or syrup” So, if I am understanding it right, you only need the milk if you are using a ‘dry’ sugar? I think I just answered my own question.